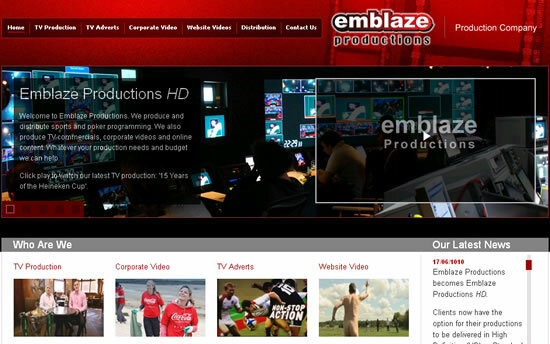 Emblaze Productions is widely recognised as the world's leading producer and distributor of sports and poker programming. We were commissioned to redesign their existing website for a new contemporary feel. Georgina Goodman is a well-known designer of luxurious shoes. The existing Flash website wasn't compatible across browsers and was awkward to maintain. 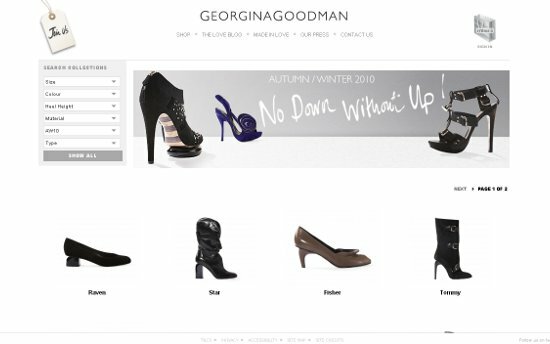 Georgina Goodman wanted a unique new website with slideshows and carousels, to proper reflect the sophistication of their luxurious shoes. 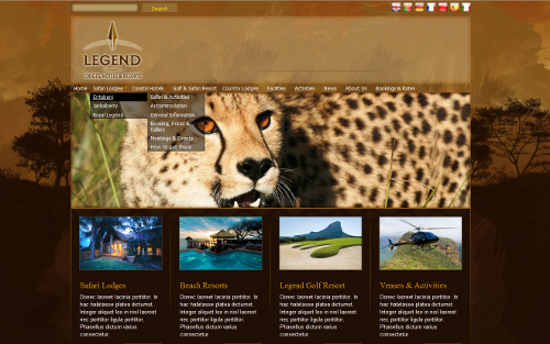 After the successful re-design of their flagship Legend Golf & Safari Resort website, Legend Hotel Resorts commissioned us to re-design and re-develop its corporate hotel and resort website. The existing website had an e-commerce facility that did not work and only listed half a dozen products. Within 8 weeks, we re-designed the website with a secure high performance e-commerce shop with over 3,500 product lines. Our service also included a full search engine optimisation package and this has dramatically increased the volumes of buyers visiting the site. PT Training Systems was designed by personal trainers for personal trainers. The client already had a basic fitness management system but unfortunately it wasn't very user-friendly. Hence they wanted a complete re-design with usability enhancements. We were commissioned to re-develop a fully functioning fitness management system that allows a personal trainer to organise his diary, clients and programs. 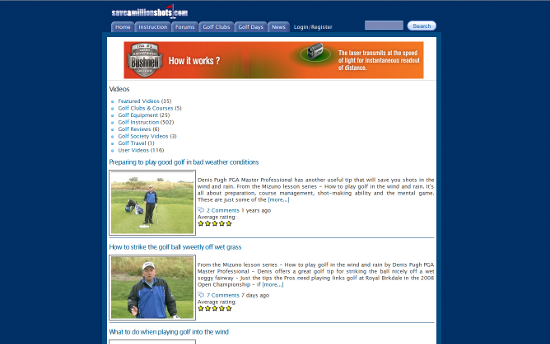 This new golf community site needed a high performance website with video content streaming functionality for its catalogue of hundreds of golf instruction videos from famous golf coaches. It also needed full social networking and community tools so its active community of golfers could upload content and interact. 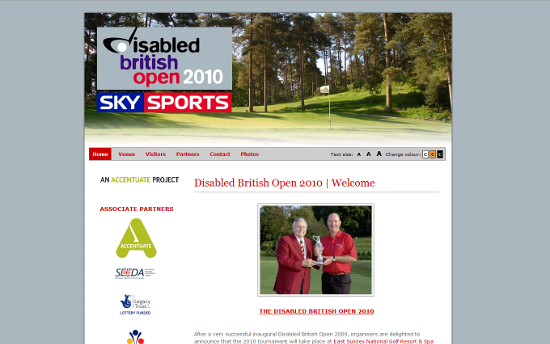 The inaugural Disabled British Open golf championships needed a new website to inform potential players, visitors and volunteers about the forthcoming championships. 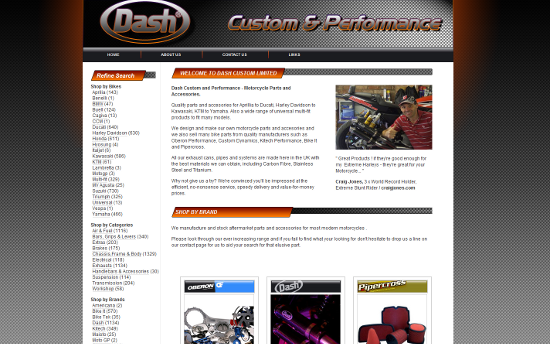 Within two weeks of receiving the brief, a new custom built content managed website was launched. 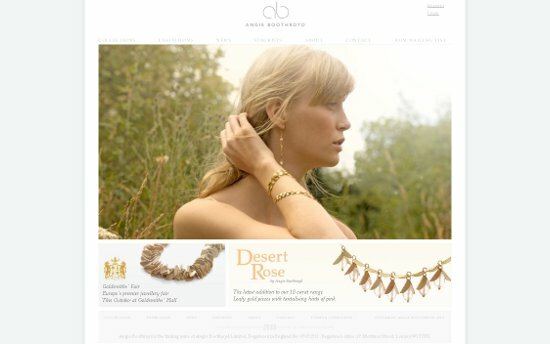 Angie Boothroyd is a contemporary jewellery designer that sell unique jewellery, hand-crafted to the highest standard. They wanted us to re-design their existing website to better reflect their high quality jewellery.